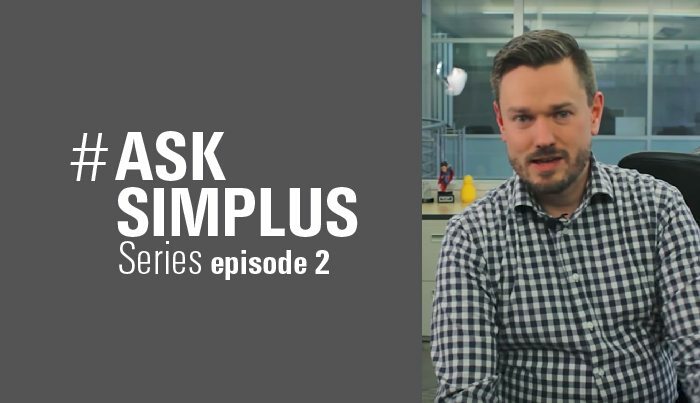 Simplus | How does a good Salesforce Consultant come up with a solution? 19 Oct How does a good Salesforce Consultant come up with a solution? The undertakings of a client engagement are typically the same. Be it a small startup consultation or a massive $200,000 deal, the ideas behind solid solution design are technology agnostic and often have nothing to do with Salesforce. Every consultation should start with consideration of the following four points. Consider this analogy when you are consulting with a client. For example, if the client doesn’t know their process, ask them, “well, what are the items on your desk that you would like to get done?” Reverse engineer each component: what is this document on your desk? Where did it come from? Who gave it to you? Why did they give it to you? The goal is to find out how we can parse that process out into data elements that they may want to track in Salesforce. Overall process analysis is a great place to start and works on small projects just as well as enterprise-level consultations. Is it an out-of-box requirement that will essentially be a plug and play configuration? Is this a configuration requirement that calls for Salesforce-supported tweaks? Is this a custom coding requirement that will be more technically involved? Now you will want to develop a wireframe for the client. A wireframe is usually a graphical depiction of what you expect the user screen is going to look like. One of the great things about Salesforce is that the robust, declarative tools available allow you to dive right into your wireframe. You can immediately start creating fields and dragging and dropping components to get a feel for what the screen is going to look like. In the event that you come across a component that needs to be customized or needs a process that is not easily supported by Salesforce, you might consider investing in some sort of prototyping tool. Maybe for you, that means just putting pen to paper, but there is a host of third-party tools out there that allow for more customizable wireframes. Once you have a graphical depiction, you can then go back to your client and ask if they can imagine themselves working with your configuration. Lastly, you will need to hash out a context diagram with the help of the client. A context diagram is a representation of the relationship between the actors and the interface. You want to get a sense of who is going to be using the solution you are designing. Hopefully, the client will have a good idea about who will be interfacing with the system: what kinds of departments are going to be utilizing which components of the system? Who are the stakeholders who stand to gain the most from the system? There are a variety of different tools in addition to the ones discussed above. But learning how to use each of these tools effectively will significantly help you develop the perfect solution for resolving your client’s pain.